Getting Married at St Mark’s or St Johns’. St Marks’ or St Johns’. You may be married in this church if one of you can demonstrate a ‘qualifying connection’ with the Lutheran Church. Such a connection with the church exists if one of you was baptised or confirmed here, if one of you have ever lived in the parish for six months, if you have ever attended woship here for six months, if your parents lived here or worshiped here during your lifetime or if any of your parents or grandparents were ever married in this church. A special form needs to be filled in to demonstrate such a connection. The first thing you need to do is to book the date ( and time ) of your wedding with the Pastor of this church. From then on your wedding is booked and all details will be filled in under that date. Most people book their wedding about six months before the date. It can only be done with as little time as five full weeks notice. After booking your date it is normal procedure to have two meetings with the pastor who will be marring you ( one about six months before your wedding and the next about one month before ) after that there will be a rehearsal on one day during the week before your wedding. It is your responsibility to make sure these meetings happen. 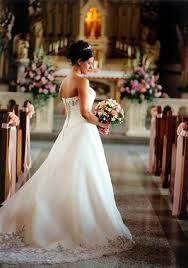 Most people get married in church after the ‘reading of banns’. It is also possible to get married with different legal preliminary procedures, but this is more expensive and it only normally happens in cases where banns cannot be read. The banns are read in the church at which you are getting married and in the church in the parish of which the other partner lives (if you both live in this parish, then banns only need to be read here). It is very important that for the purposes of the reading of the banns you reside at the addresses which you give when you apply for the reading of banns. The form, which you fill in to apply to have your banns read, is a complicated form and needs to be filled in truthfully. It is filled in both for this church and for any other church you are having your banns read (it is therefore worth you keeping a photocopy of it once you have filled in one!) – It is your responsibility to make sure that you have agreed the calling of banns with the pastor concerned. You cannot be married in church without fulfilling the legal preliminaries. Please make your own plans to provide flowers and church decorations. If you are planning to have the church decorated it is important that your florists or flower arrangers have access to the church at a time the church is open (please arrange this with the pastor). You can choose your music and hymns in consultation with our organist, it is customary to have two or three hymns. You may also like to specify the music to be played at the beginning and the end of the service as well as the music that you want played during the signing of the registers. You can arrange for other singers or musicians or you may book the professional singers to perform at your service. It is normal to have a reading from the Bible, you may want to choose a suitable passage (the pastor will assist you). You may like to consider to make the service more personal by choosing a reader from amongst your guests or/and chose an additional reading (which may not have to come from the Bible, but could be a poem or some other suitable passage meaningful for you both). You may like to consider arranging for the printing of an ‘order of service’ which will contain words of hymns and a running order of the wedding service so that your guests can be handed this by the ushers as they enter the church. The pastor will normally like to have a look at the final proof of this. The total length of the service is likely to be about 30 to 35 minutes. You may want you can have one designated photographer. In this church such a person will have a lot of freedom to take photographs, even during the service, provided that: 1) he/she identifies himself to the pastor ten minutes before the service and they can have a quick discussion and 2) other people refrain from taking photographs during the service. At the church we can only allow strictly biodegradable confetti and this only on the public pavement area away from the church building, a note to this effect must be included in your order of service. Please remember that ‘getting married in a church’ can mean a whole spectrum of events. The main elements are: your promises (the vows), your nuptial blessing, the witnesses, prayers for you and the signing of the registers. It is perfectly possible for you not to have any of the other enhancements (flowers, music, festive clothes, special cars, expensive parties etc). The pastor will take your wedding seriously, whatever you decide to do: from (on the one end of the scale) the two of you coming to the church in ordinary clothes with two witnesses to (on the other end of the scale) you organising a huge stage-managed day of celebration. Relevant names and telephone numbers are posted on St Mark’s web site. thanks for taking the time to discuss this, i feel strongly about it and love learning more on this topic. it is extremely helpful for me. Exceptional post however , I was wanting to know if you could write a little more on this topic? I’d be very grateful if you could elaborate a little more.